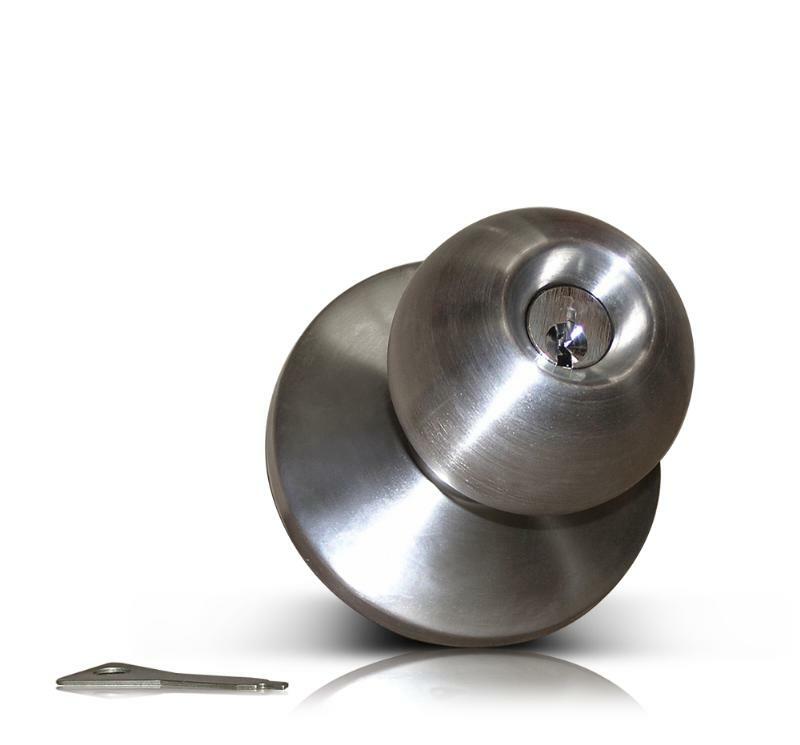 This stainless exterior Sentry Safety door knob works with any commercial entry or exit door. This Sentry Safety Knob Tim Handle is easy to install and use, as well as aesthetically pleasing. This model is also easy to install as it comes with a manual, screws, and 2 keys. The quick turn and release mechanism means that it turns easily, making it perfect for outdoor applications. Similarly, this handle comes with a built in lock that eliminates the need for the cylinder that comes with most emergency bars, making this accessory more aesthetically pleasing. The stainless steel finish adds to the appearance of the handle, as well.